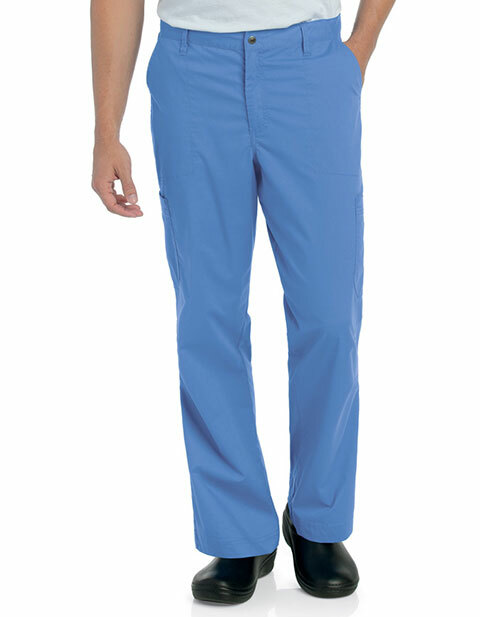 Cozy and supremely comfortable and with a "broken in" look and feel, this cargo pant by Landau offers the comfort you want and the storage you need. With six total pockets, two roomy hip pockets, a cargo pocket on each leg and two back pockets you’re sure to find a place for everything. 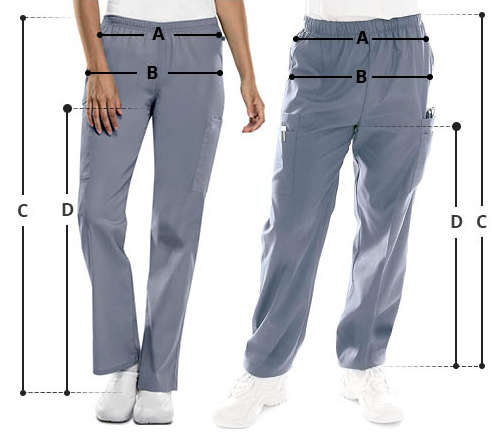 Includes wearer's left cargo pocket with three pen loops. Waistband features a flat front and back elastic with belt loop detail, a zip fly, snap closure, and internal drawstring for added security. Knee darts provide flexibility for bending and stooping. Made up of 53% Cotton/44% Poly/3% Span.